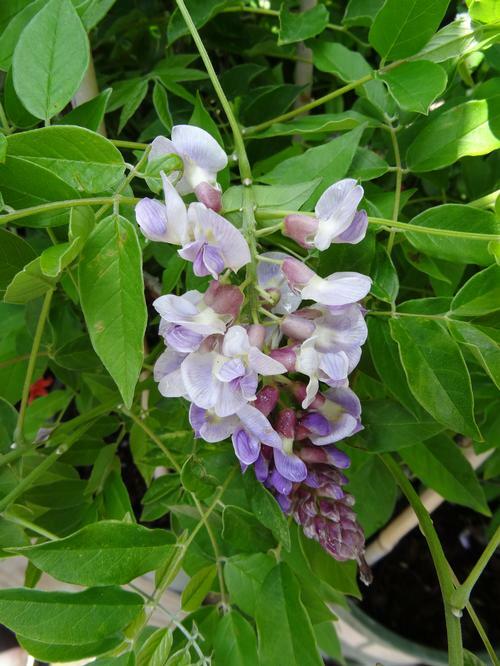 A hardy wisteria that can take the Minnesota winters, Blue Moon has been reliably hardy to -40ºF (yes minus), it is extremely fast growing and blooms up to three times a year if grown in full sun, beautiful lavender-blue flowers are borne on foot-long racemes and are sweetly fragrant. Wonderful woody vine valued for its dangling floral displays. Especially suited for arbors or pergolas.